RIT Libraries: How Do I....? : Find information? access to scholarly and trade journals, both in print and electronic formats. a substantial collection of printed reading materials. access to a variety of e-books. tutorials to guide you in your search for and use of research materials. If you are unable to find what you are looking for in our collection, materials can be requested through ConnectNY and InterLibrary Loan. Remember, one of the most valuable resources available to you through the RIT Libraries is access to specialized librarians. - and the Jonathan and Patricia England Collection of American Fine Printing. Summon is a searching service provided to participating colleges and universities by ProQuest, one of the largest database resource providers available to students, staff and faculty. This search tool allows you to search RIT's entire collection based on keywords or phrases that you enter. To start using Summon, visit the RIT Libraries' webpage. You will see a search box that looks like the one below. You can type your search terms into the box that says, "search articles, journals, books, media, and more" then press Enter on your keyboard. 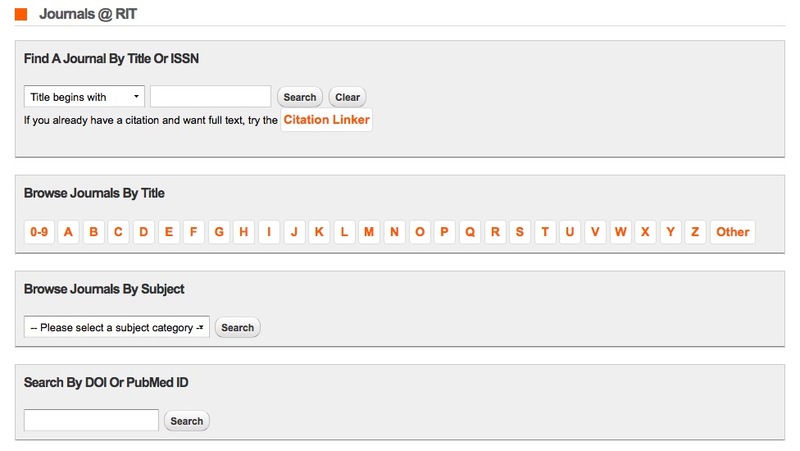 This will lead you to a list of search results available through the RIT Libraries. If your search results in a overwhelming amount of entries, you may want to refine your search results using the filters at the left of you search window. First, refine your search. Tell Summon whether you are looking for only "Full Text Online" and whether or not this information has to be scholarly and peer-reviewed. You may get a lot of results that do not fall into either of these fields (printed books, newspaper articles, etc. ), so if you are looking for these specific results, let Summon know using this filter! You may then filter by the type of content you are searching for. This filter can help you add a variety of source types to your project. Some professors may even require a certain number of source types to be used for assignments. Review your assignment details and ask the instructor if you are unsure of what is required. You may also want to filter your search results by discipline. Many search terms are used across multiple disciplines and will yield results from Summon in all areas of study. An example of this might be, if one were to search "learning theories" results would show articles in the disciplines of education, psychology, and business. 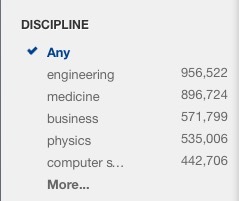 Narrow the results by selecting the discipline you are interested in researching. Many of your research topics will be established subjects of study in your field. 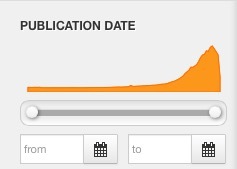 To help you find the most relevant information, Summon has included a way for you to filter your results by publication date. Use the sliders or calendar buttons to select a range of dates that will give you the most relevant search results. 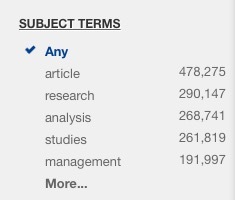 The subject terms search filter can help you think of new ways to search for articles related to your topic. If you are having difficulty coming up with search terms or phrases, this filter can be a useful way to gain ideas. It will also assist you in narrowing your results after you have produced a successful search. 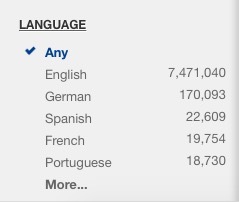 There is also a language filter that can help you narrow down your results based on which language you are using for your research. Finally, you may wish to narrow your search by the location of materials. 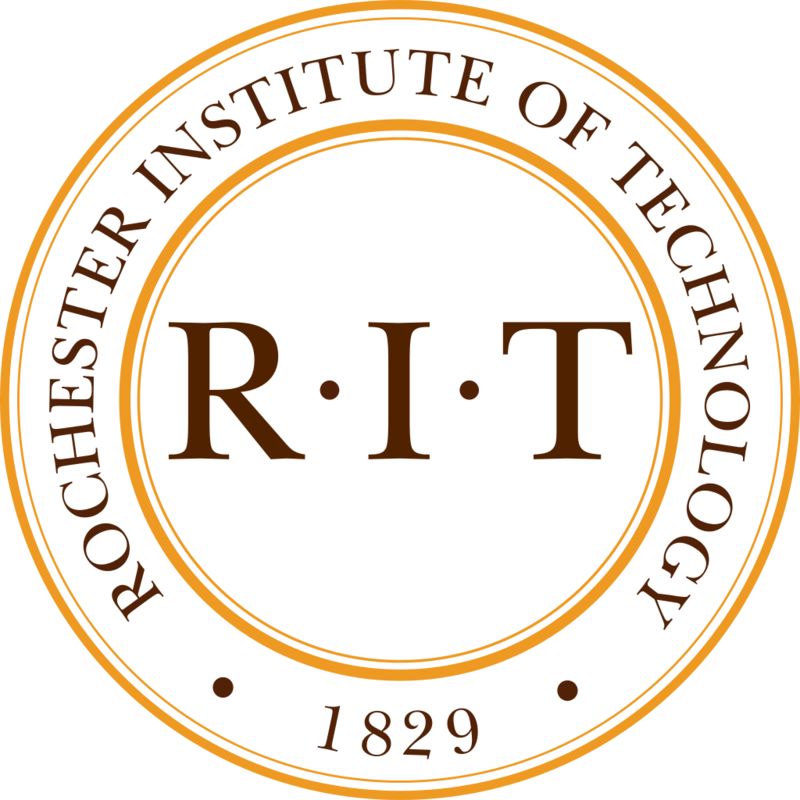 You can choose to view materials only available at RIT's Dubai campus, materials online, or materials available at the Rochester campus, among other options. You will learn more about locating printed materials on the main campus in the "Books" tab of this page. Now that you have learned some tips about how to use Summon, visit the RIT Libraries' homepage to try it out, or use the short-cut search box provided below. 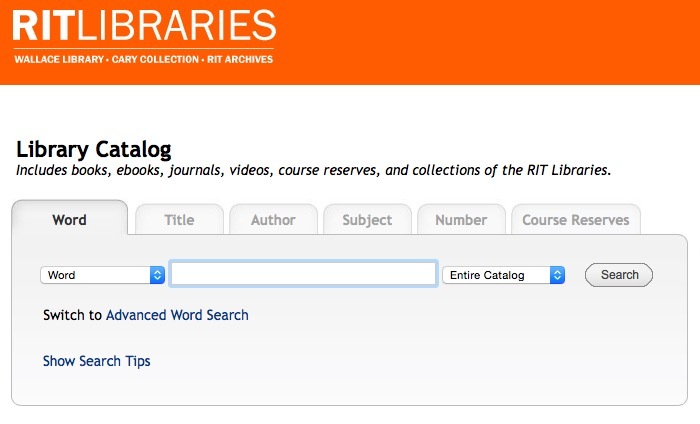 The RIT Libraries catalog is a search tool that allows you to search the libraries' available materials, including books, ebooks, journals, videos course reserves, and the collections of the RIT Libraries. 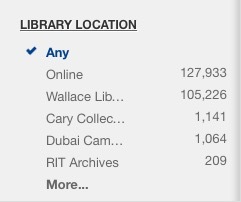 You can access the RIT Libraries catalog by visiting albert.rit.edu. Below is an image of what the catalog search tool looks like. You can select a tab on the top of the search box to choose how you search the catalog (ie. search by "Title" or "Author", etc.). 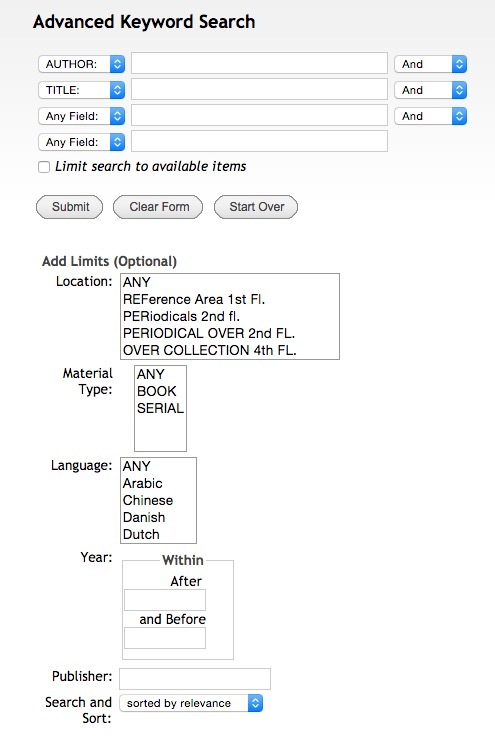 However, two unique features of the catalog are the "Advanced Word Search" and the ability to find "Course Reserves" material. You may see many similarities between the options offered here, and the options offered by Summon. However, the RIT Libraries catalog gives you the chance to manage your search criteria before you submit your search query. Another unique feature of the RIT Libraries catalog is the option to see what Course Reserves are available. Course reserves are materials that your instructor may have set aside for a specific class. They live in a special section of the library, and are only available upon request. 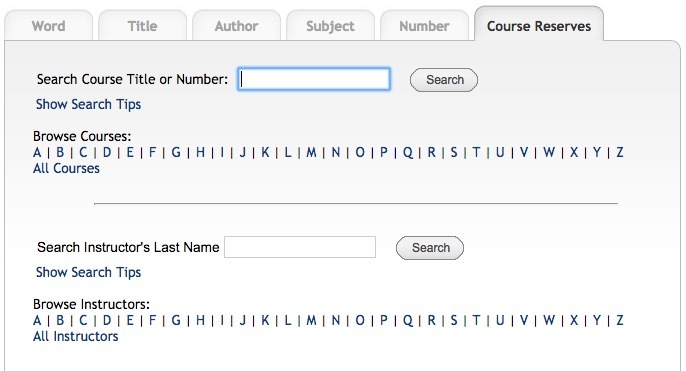 You can look for course material online by searching or browsing for your "Course Title or Number" or by searching or browsing for your "Instructor's Last Name." These are some special features of the catalog search tool. Give it a try to see what you find! The RIT Libraries offer a large selection of ebooks, searchable through the catalog and Summon. 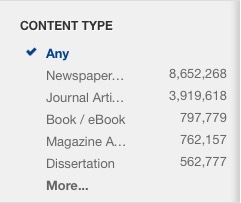 Most ebook results will be indicated on the library catalog as shown below. On Summon, ebooks will be identified by the ebook symbol as well as a label that indicates "eBook: Full Text Online" as shown below. You can access ebooks by clicking on the "Full Text Online" link, or by clicking on the title of the book and then following the provided links to the full text. If you are looking for a printed book, however, you will have to learn how to find it in the library! The first step to locating a book in the library is to click on the title of the book. This will open a page in the catalog with further information about the book, including where to find it. If you click on the "Location" of the book, you will be shown a map of the floor where the item is located. You can then go find the material you need! Many of your professors may require that you include scholarly journal articles in your research. A scholarly article is an article that is written by a scholar, or professional, in the field which you are studying. Many scholarly articles must be peer-reviewed in order to be published by a credible journal. Peer-review is the process in which multiple professionals read and critique articles written by others in their field before those articles are published. This process ensures that the articles that are published have credible information, applicable to the area of study that they relate to. To search for scholarly articles one the RIT Libraries' website, look for the link that says "A-Z Journal List." Once you have done that, you will see a screen similar to the image below. You will have several options to help you search for an article. If you already know names of the journals that publish scholarly articles in your area of interest, use the "Find a Journal By Title" option. For many students, it is easier to "Browse Journals By Subject." This is a good way to become familiar with some journals that provide scholarly information related to your area of interest. Now that you know where to look for scholarly articles, click this link to search for journals or use the journal search-widget below. There are several video Tutorials that can help you with your search for information at the RIT Libraries. Click the links below to access the tutorials provided by the library. LibHunt is an RIT library-based scavenger hunt! This is a really cool activity for students visiting campus or wanting to learn more about the RIT Libraries. To fully participate, you must be on the RIT campus. There is a tutorial Welcome to the Library Search Catalog tutorial, which will review some of the basics of finding books in the library. Finally, there is a short Summon Tutorial that will review some filtering techniques within the Summon search tool. View the tutorial here for more information on these topics.